Do you like the simple things? But it is also interesting, beautiful, and has a value of art? This template is the answer. With a simple and artistic design, this template can help and facilitate the delivery of your presentation. Is this template can be used for a variety of presentation themes? Yes of course, this is also the goal of our [4presentation.net] when creating the artistic template. This PowerPoint template has 2 different design layouts, which for title slides and content slides. So, what are you waiting? 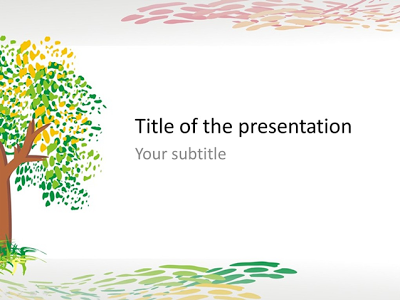 Immediately download and use this free template in your presentation.